You will love these thick, heavyweight, legal-size folders. 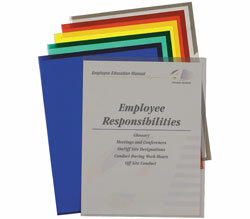 The deluxe non-glare vinyl project folders help you categorize your work projects. Attractive and practical, use them to organize your week or keep materials for a specific meeting in one place. Legal size. 50/BX.